zCover Inc is the leading manufacturer of fashionable silicone carrying cases for high-end portable devices. 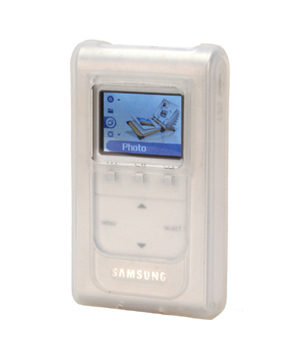 They are now taking further steps into the fashion electronic world by announcing its "vocal SS820" Silicone Carrying Cases for the Samsung YH820 5GB Portable Multimedia Player. "zCover fashionable silicone cases are all about self-expression. Give your gadgets a makeover with zCover," says Sean Sa, vice president of ZCOVER INC.
zCover "vocal SS820" colors your YH820 and your music, displaying your unique personality and your colourful life. With zCover handcrafted silicone patterns and the coolest in design, (such as glow-in-the-dark) these versatile protectors make your Samsung stands out. Combine zCover's innovated advanced moulding technology, customized crystal-clear screen protector, and flipper port lid with zCover's "vocal SS820" case. You can maintain the beauty and functionality of your Samsung YH820. Then you can show off your personality while protecting your Samsung YH820 from scratches, dirt and dust. Each zCover vocal SS820 for Samsung YH820 retail package comes with a rotary belt clip and a hard crystal clear screen protector. Â· zCover's standard rubber pad removable rotary belt clip provides reliable accessibility from every angle. Â· Customized crystal-clear hard screen protector provides the best vision effect, perfect fit, and prevents scratching and dirt to your screen. 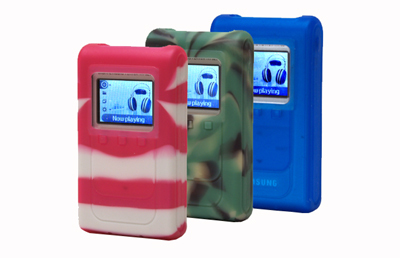 zCover "vocal SS820" offers three color pattern series: Original series, Candy series, and Camouflage series. Â· Original series are translucent pure color silicone cases, designed to add a splash of extra color and excitement while providing durable protection. zCover "vocal SS820" Original comes in your choice of seven fun and bright colors, ice-Clear, Grey, Black, Blue, Pink, Purple, and Glow-in-Dark White. Â· Candy series is hand crafted dual color with Glow-in-Dark white strip design. It will make sure your garget stand out in a crowd. With its unique design and colourful look, you will be the envy of everyone. zCover's first release includes "Candy Pink" and "Candy Blue". Â· Camouflage series is hand crafted multi-color design. It brings outdoor and sporty motion to where you go. In this first release we introduce our most popular camouflage design "Navy" and "Woodland" to the public.